School furniture shopping has never been easier now that Worthington Direct has released the latest version of their website that includes an instant freight calculator, live chat and a PDF version of their catalog. Worthington Direct (www.worthingtondirect.com), a supplier of school, church and early childhood furniture and equipment for over 11 years has launched a new version of their website that will make online institutional furniture shopping a snap. School purchasers, church committee members and daycare owners will save time, and as always save money, when they purchase their facility furniture online with Worthington Direct. One major upgrade is real-time freight calculator that offers instant shipping rates for almost every item on the specialty furniture website. Worthington Direct’s technology director, Brian Heiland, says, "Today’s online shoppers are becoming more savvy and are expecting interactive websites with advanced features, like instant freight calculations. School procurement offices can now simply click to view their shipping rates and use that information to complete their requisitions in seconds flat." Freight can be calculated on each item detail page for individual shipping rates, or multiple items can be added to a shopping cart and then rated for a combined shipping amount. Unlike some of the other school furniture sites, Worthington Direct does not hide any shipping fees inside their product costs. Some companies base their shipping costs on a percentage of the purchase total, but that is not an accurate amount for an item that is small with a high price tag, such as technology products. This results in having some of the lowest costs in the industry and avoids the customer from paying an inflated shipping amount. Gas prices are steadily rising so every effort is being made to keep shipping rates accurate and to a minimum. Another great feature found the Worthington Direct website is the ability to participate in live chat sessions with trained school and church furniture experts. Although anyone that calls during business hours will never encounter an automated recording, some people just like the option to type over dialing. 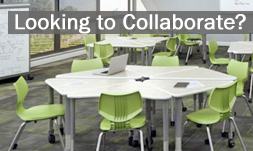 Live chat is a great way to get fast responses for questions that arise while shopping for school furniture. A full version of their printed catalog can also be viewed in PDF form on the web now. Customers can view and print single pages or a range of pages that can be used in last minute committee meetings or to attach to their purchase requisition. Some other upgrades to the institutional furniture website are larger images and a faster checkout process. Worthington Direct continues to focus on website improvements and to maintain their quality customer service from its origins as a direct mail catalog company. With all of the new and advanced features found on their online store, customers are still always to welcome to pick up their traditional catalog and call for fast friendly service. I bought some coat racks last year and they seem to be nice addition to my room.